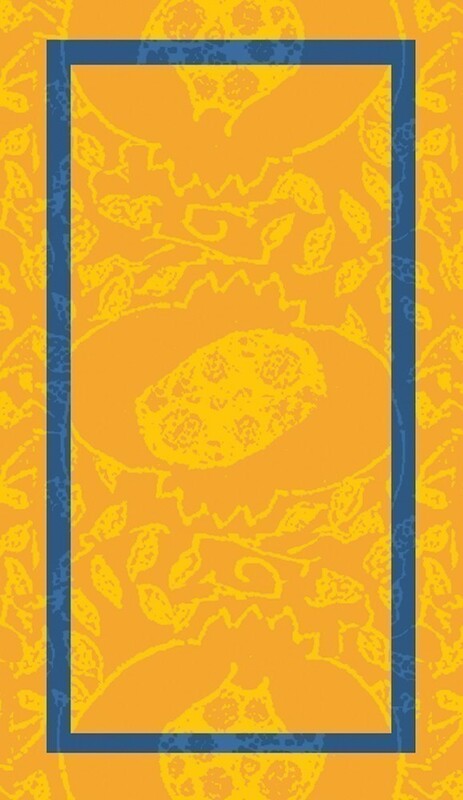 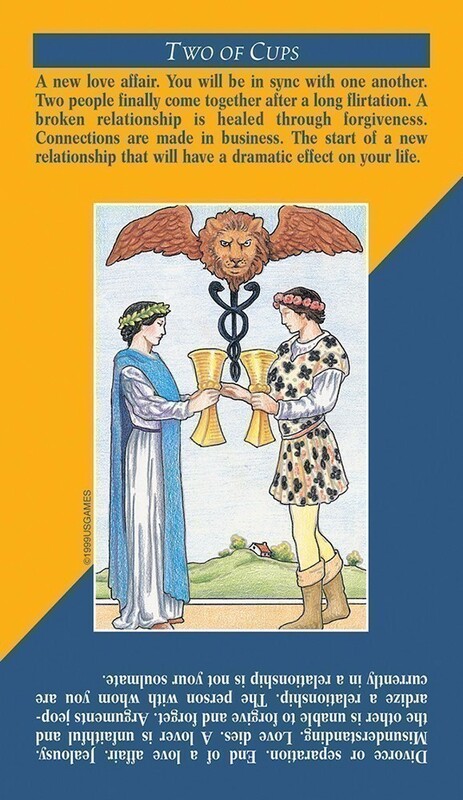 The colorful, 78-card deck is based on the bestseller Universal Waite Tarot deck. 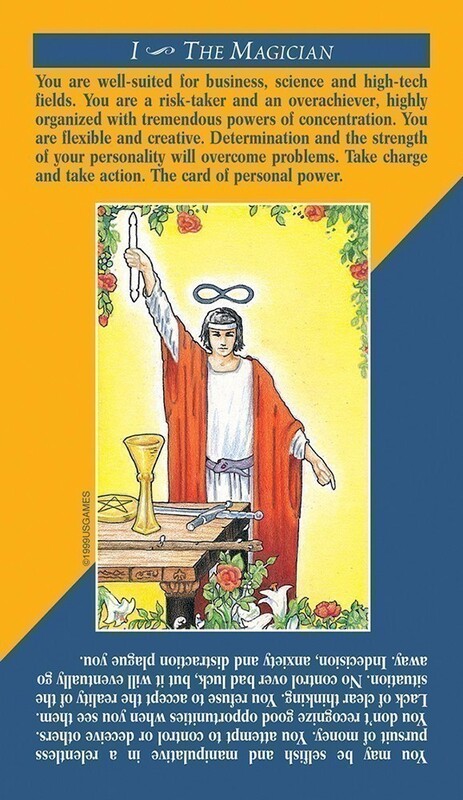 Quick & Easy Tarot has both the divinatory meanings and reversed meanings printed right on the cards, so there is no need to consult a book. 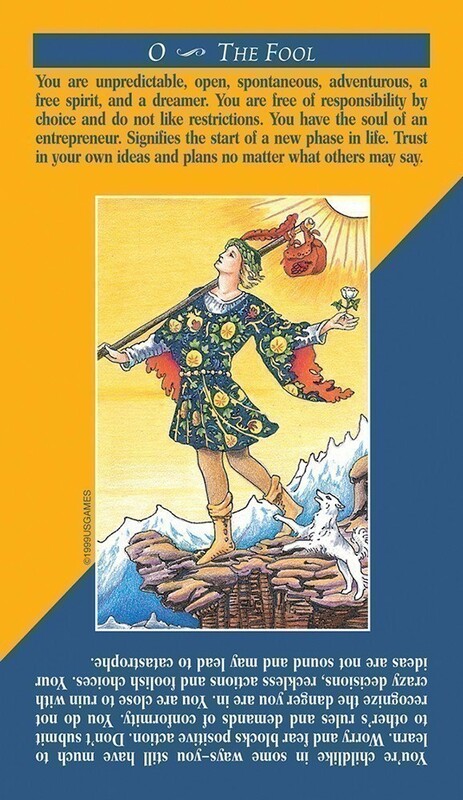 The illustrations of this unique deck are based on the iconic artwork of Pamela Colman Smith, which has been re-colored by Mary Hanson-Roberts with soothing colors, and fresh, new details. 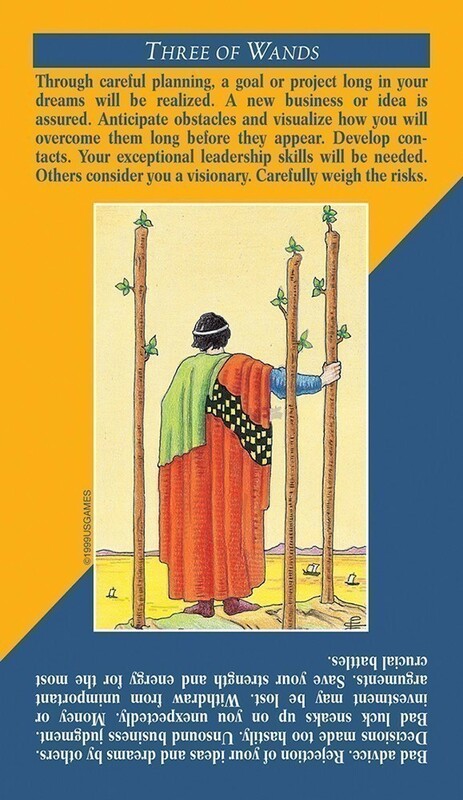 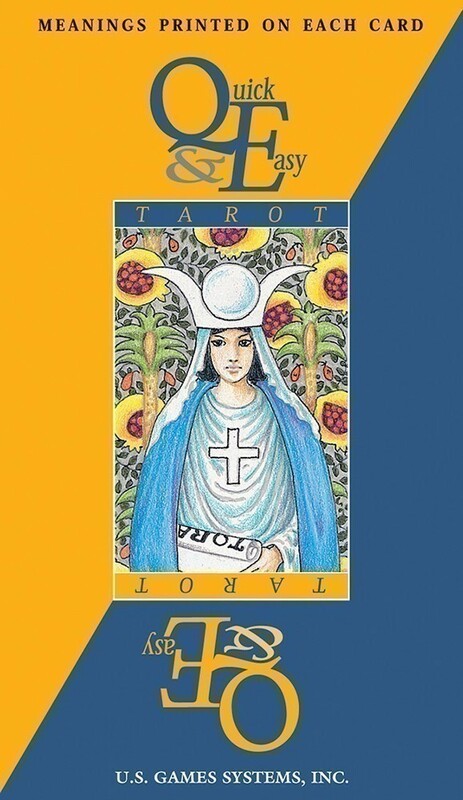 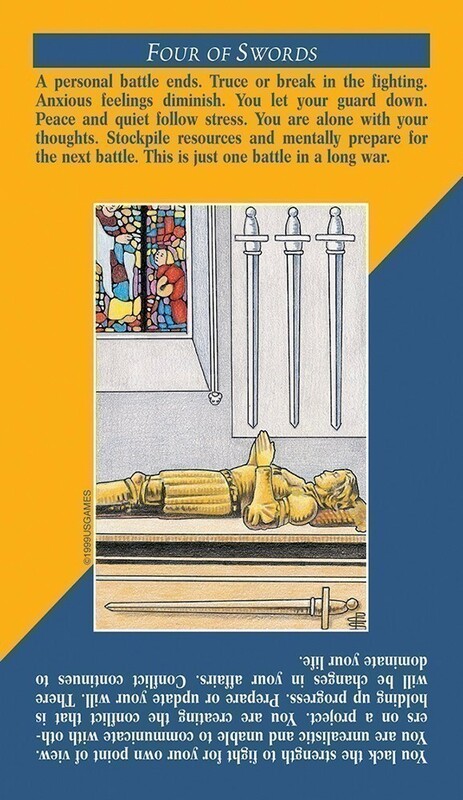 With insightful divinatory meanings provided by tarot expert Ellen Lytle, Quick & Easy Tarot is the perfect deck for learning and reading tarot cards. 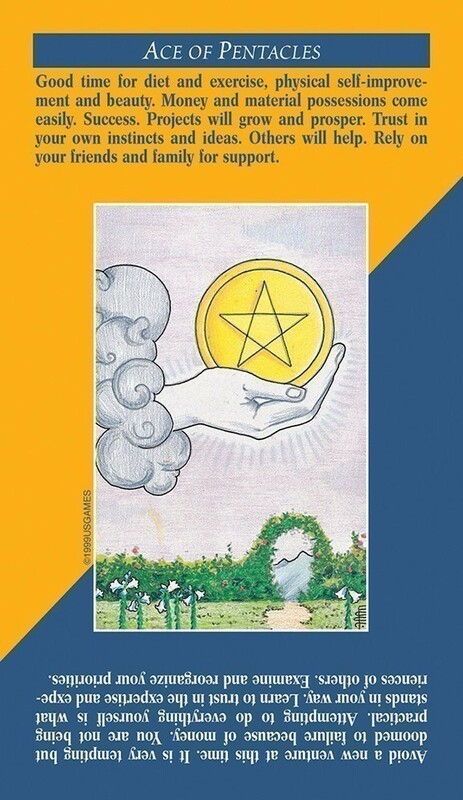 Also see: Universal Waite® Tarot Deck, Universal Waite® Tarot Deck/Book Set, Universal Waite® Tarot -- Premier Edition, Universal Waite® Pocket Tarot, Tiny Universal Waite® Tarot, Quick & Easy Tarot -- Premier Edition, Tiny Tarot Key Chain, and The Pictorial Key to the Tarot Book.